Happy New Year!! Did you make any resolutions? We are back in the swing of things here at New Haven Reads, and with more than 500 students currently enrolled in our one-on-one tutoring program, now is a perfect time to sign up to volunteer! Not sure whether or not tutoring is for you? Check out our top 5 reasons to volunteer at New Haven Reads! 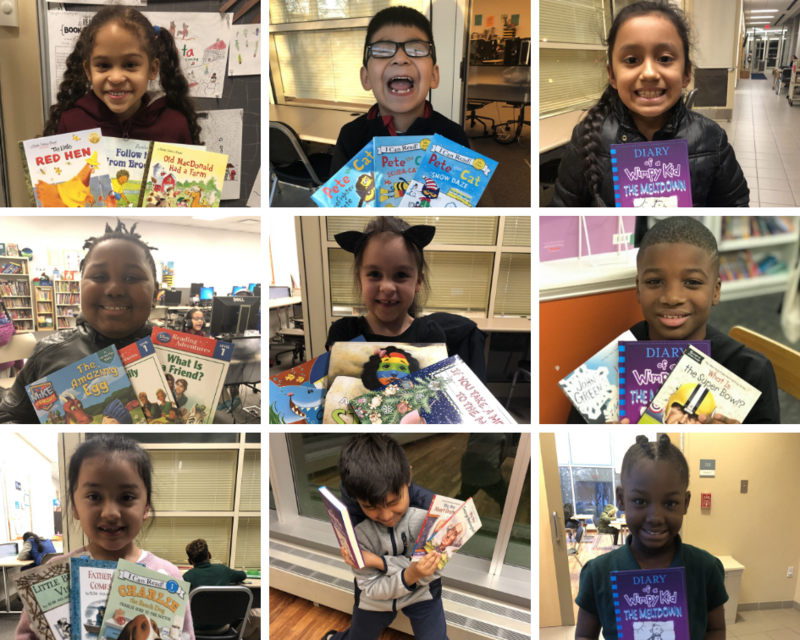 Whether you are working, retired, newly graduated or still pursuing your education, New Haven Reads is a meaningful, rewarding cause to give your energy to. And bonus: we have a really fun time in the process! We’re talking about the greater good here, friends! Volunteering provides us the opportunity to have a say in the type of community we want to live in, and allows us to devote time and energy to something we consider important. So often, this commitment directly affects someone else’s life in a much bigger and more profound way than we even realize. Working with a student one-on-one each week at New Haven Reads is a real way to affect a lasting, positive change in a young life through literacy. Plus, the young’uns are all so dang cute! In other words: Share in the love!! Studies show that getting involved with a volunteer organization is good for us, not just intellectually, but for our overall physical health as well. At New Haven Reads, our volunteers form lasting friendships with one another and enjoy a strong culture of purpose, appreciation, passion, and gratitude. We offer a variety of events and activities for volunteers to meet, socialize, and share their experiences, as well as regular training opportunities to improve and enrich their tutoring skills. Okay, we can’t make this stuff up, y’all! The way these kids and volunteers encourage and energize one another is truly astounding. And what is more life-affirming than that? Inspiration comes in many forms, but the magic that happens week after week at this unassuming, judgment-free literacy resource center is something that simply must be experienced to understand its power. I would challenge anyone to sit with a child reading Dr. Seuss out loud to you in their tiny, trusting voice and remain unmoved. And NUMBER 1 on our list…no drum roll necessary, they make enough noise on their own: THE KIDS!!! And what a smart, funny, kind-hearted lot they are!! The joy on their faces when they arrive each day says everything – they are the ones that make it all so worth it. The dedication of their families is palpable, and it’s the backbone of the program. We couldn’t do it without them. If you already volunteer at New Haven Reads, we say a very enthusiastic and heartfelt “Thank you!” And if you are not yet a volunteer with us, we hope you’ll consider giving it a try. We exist to help school children in and around New Haven improve their literacy skills. In turn, we, and all our volunteers, get the privilege of watching them improve and succeed in an imperative, life-changing way. So whaddya say… you in? ← Sign up for a field trip today!